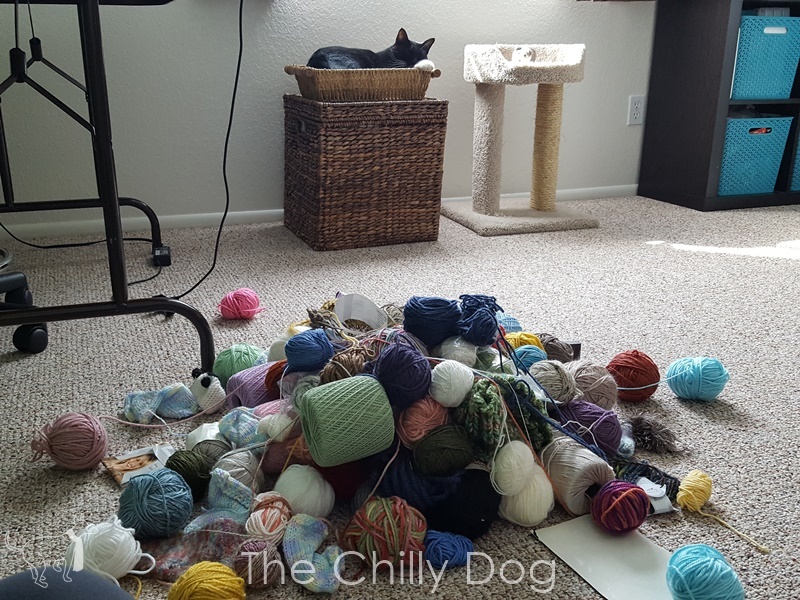 My name is Ellen, and I am a yarn-a-holic. My problem isn't necessarily related to buying too much yarn. I am typically a project-based yarn shopper and my skeins do not remain in my stash unworked for very long. The real issue is that when I finish a project, I simply can not throw away the leftover bits and pieces no matter how large or small they are. I mean, the color is so pretty and someday I might need it for something. So, I roll the leftovers into a ball and drop them into a bin where they commingle with the other fiber castoffs, eventually morphing into a giant Frankenskein! Hmm... I wonder why I never use my leftovers. Even the cat avoids tangling with this monstrosity. Then one day in a casual conversation, my neighbor accused me of having every knit and crochet tool known to man. Like that's a bad thing! I immediately went on Amazon to prove my dear friend wrong. Hooks, needles, row counters, stitch markers... Yep, I pretty much have it all. But wait! What magical fiber related tool do I not yet have? A yarn ball winder. A situation quickly remedied with my purchase of a Stanwood Needlecraft YBW-A . As soon as it arrived I clamped that bad boy to the table and started deconstructing my giant Frankenskein. Within a couple hours I had a pile of colorful cakes piled across my table. The winder pleasantly hummed as I wound it all. Cotton, wool, acrylic. I'm not a yarn snob after all. And now that my yarn is neatly wound and organized by fiber type two questions remain? What stashbusting pattern is next to be designed and what knitting/crochet tool is still missing from my studio? 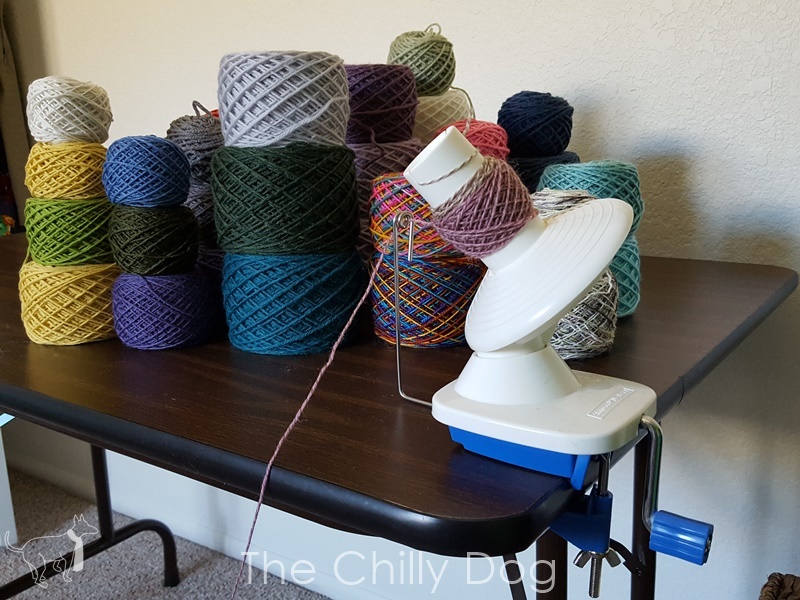 Transform the Frankenskeins in your fiber stash into colorful cakes with a Stanwood Yarn Ball Winder.